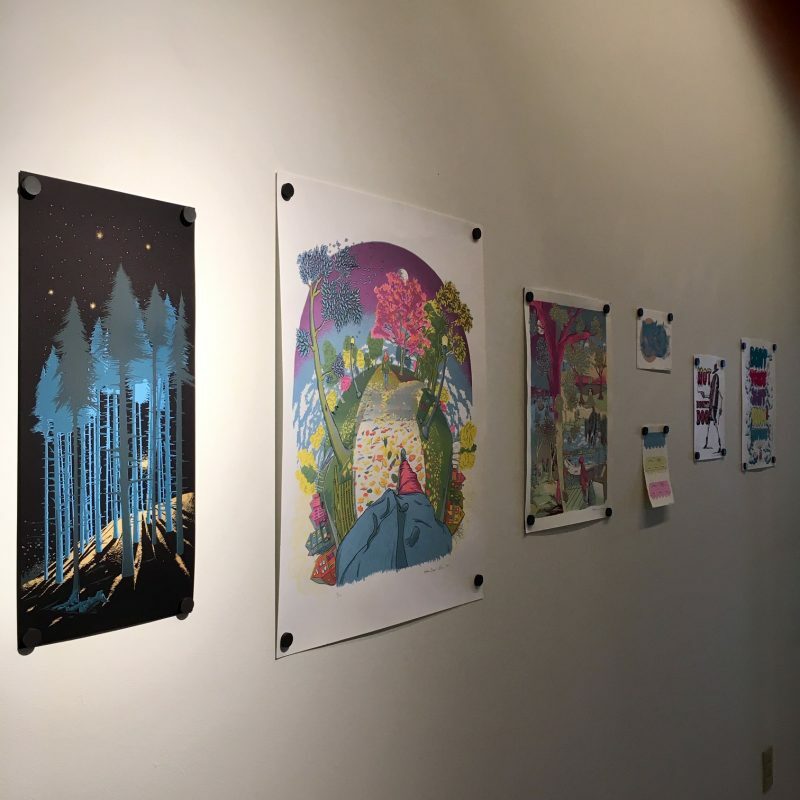 This two-person exhibition, that ran from October – December in Lyons Hall’s Vogt Gallery, featured recent works on paper, sculptural installations, and screen prints by two Canisius College alumni (both ’13). Katharyn Ketter-Franklin is a 27-year-old Canisius College graduate who grew up sketching dragons in Buffalo, New York, and now focuses in minimalist illustration and cut paper artwork. They spend their free time rewatching Evangelion, playing Final Fantasy, photographing cosplayers and creating movie posters for North Park Theatre.